The news that South Africa is currently in the middle of an energy crisis is hardly making headlines anymore. This is a storm that has been brewing for a while, and now we are right in the midst of it. Businesses all around South Africa are feeling the pinch, but that does not mean that business stands still. They still need to communicate with their stakeholders as per the usual, even in these challenging times. Whilst FaxFX may not be able to provide you with an electricity back-up solution when load shedding hits, we can be part of the revolution to get businesses to use less electricity. Not only may that help SA’s energy parastatal in the long run, but it will also save your business money as you will be spending less on electricity. You will also save the time your employees would have spent working the fax machine, and in the same heartbeat also reduce your carbon footprint as you will be using no paper at all to send faxes. All you need to use our Fax to email services is an active email account that receives at least one fax to email message per month. You can scan the document you would like to fax and attach it to the email, use the email’s body as your cover letter to ensure that your fax goes to the right person. What’s more? You can send a fax to anybody, anywhere in the world through a traditional fax number or fax to email account. 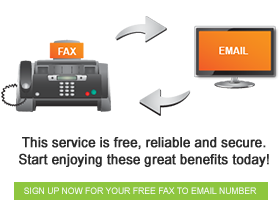 Learn more about this service here http://www.faxfx.co.za/services/free-fax-email/ and start using it today!